P-Anisaldehyde 0123-11-5 is Liquid . It is also known as 4-Anisaldehyde and 4-Methoxybenzaldehyde .it is use in perfumery fragrance . 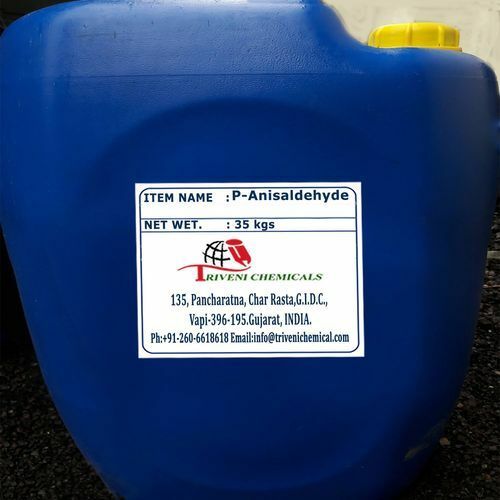 P-Anisaldehyde is available in multiple type of packaging. Triveni Chemical is one of the leading suppliers of P-Anisaldehyde. We deal in all types of chemicals.